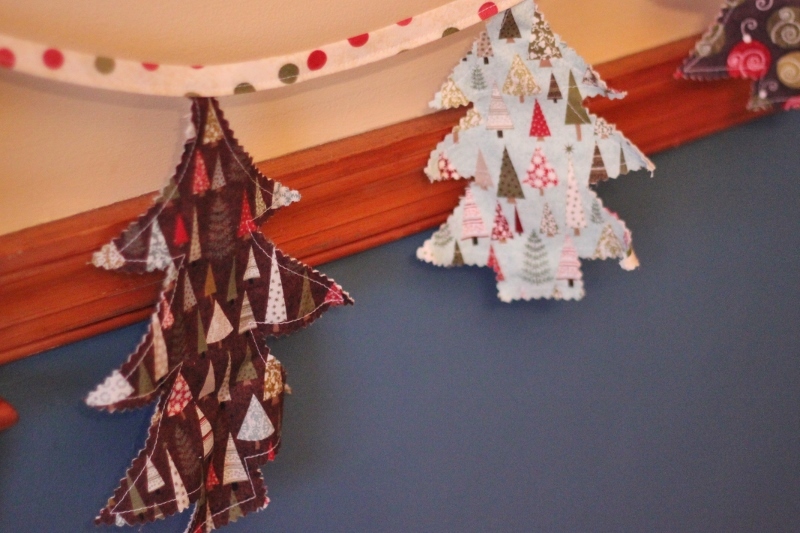 Handmade Christmas 2013: Trees and Sheep and Birds, Oh MY! 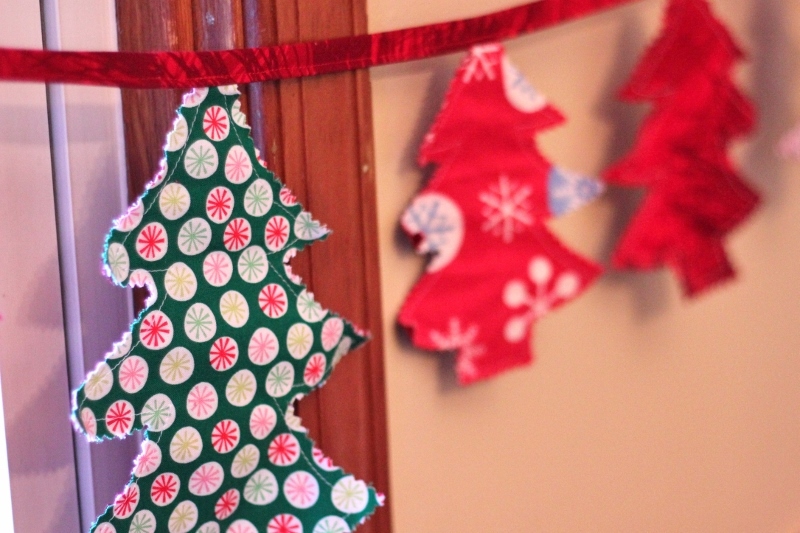 Continuing last year’s “Christmas decoration” theme for my family, and having so loved the tree garland that I made for Eric and Meggan last year, this year, I decided to make three more for my other siblings! love those trees in a tree! loves the snowflakes on that tree! For my mom, I made her a cute little sheep. 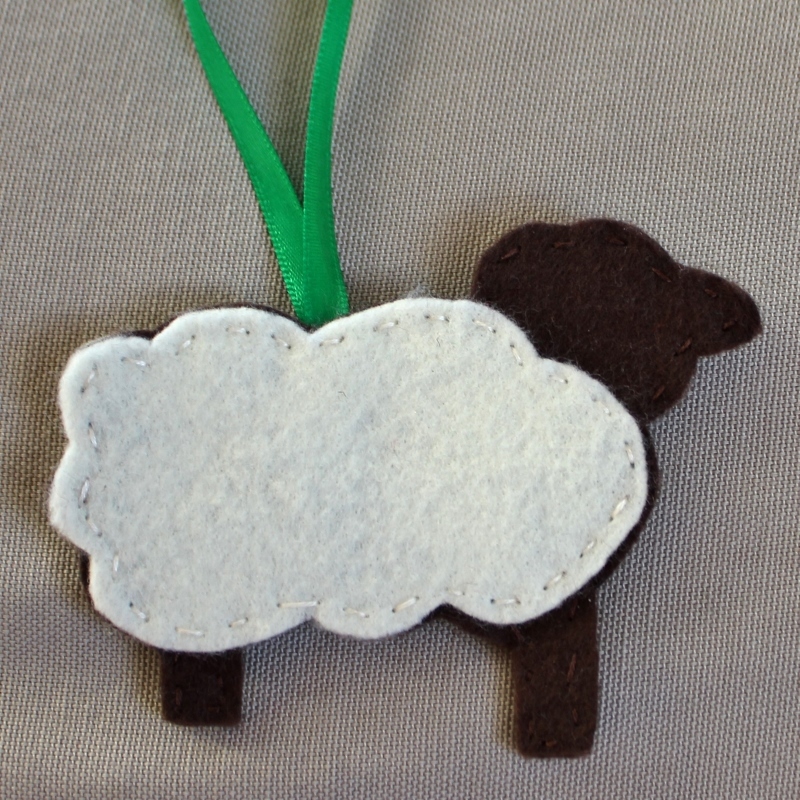 (Actually, it’s the sheep made during the photographing for the tutorial!). 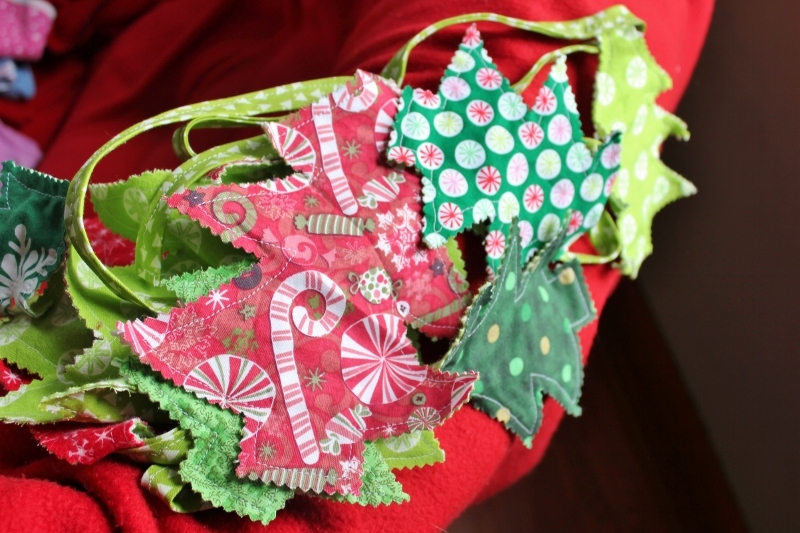 For my brother Eric and his wife and five kids, I wanted to make them each something to have because they lost many of their Christmas decorations in a basement flood this fall. 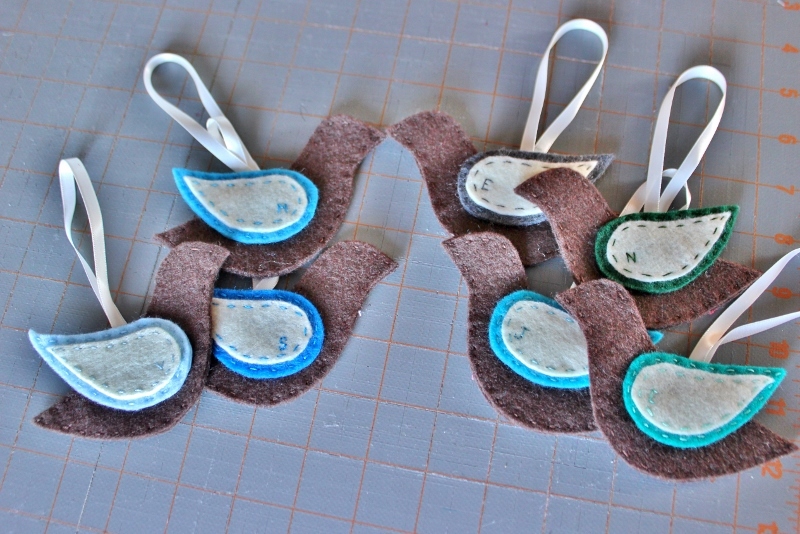 So I made them a flock of birds (using my design in this tutorial). I envisioned making them a flock of brightly colored birds, like a rainbow. When I asked each of them their favorite colors, I got five votes for blue (three for turquoise, one for aqua, and one for blue) plus one vote for forest green and one for “earth tones like brown or gray”. Not exactly what I was hoping for! Wanting each person to still have a unique bird, I managed to track down five shades of blue! 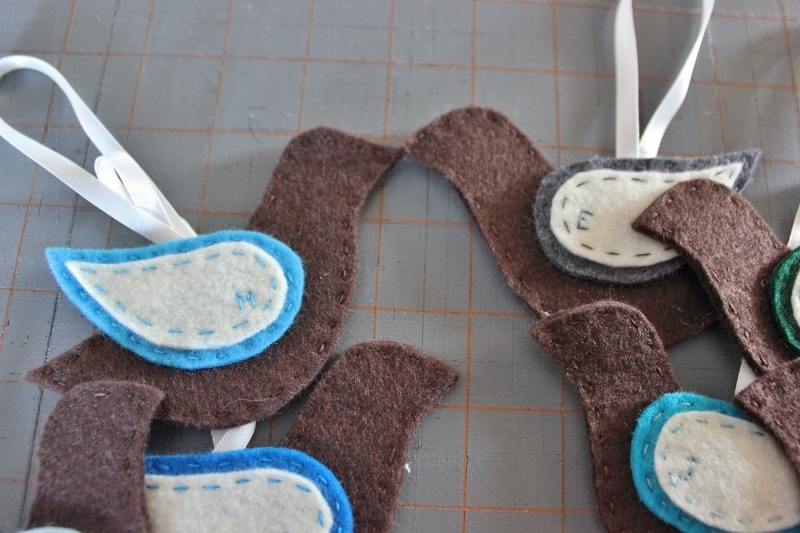 I added each person’s initial to the wing with thread matching the color of their wing. 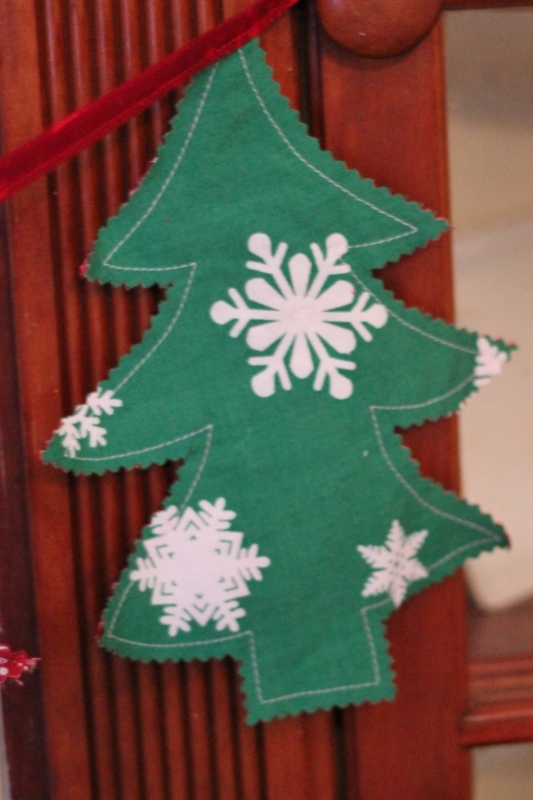 This entry was posted in family, sewing. Bookmark the permalink. 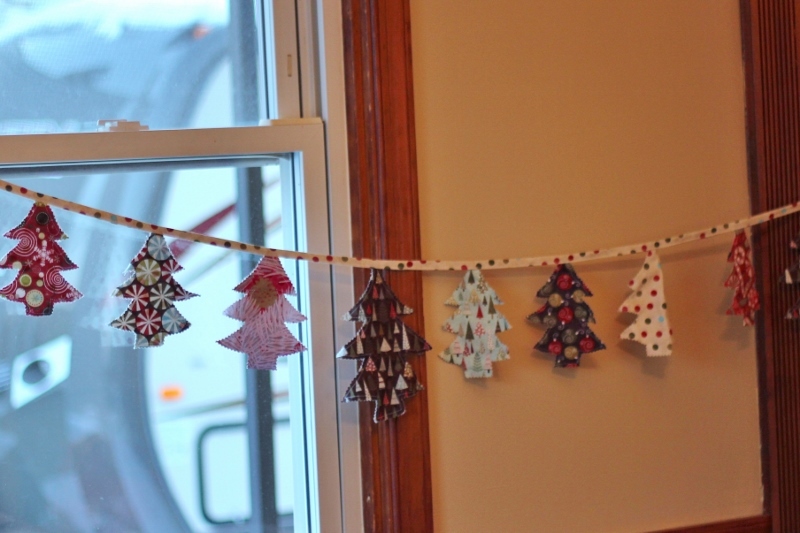 8 Responses to Handmade Christmas 2013: Trees and Sheep and Birds, Oh MY! Your creations are so much fun, Laura! We missed you here yesterday, but your gifts to us brought you all a bit closer. Thanks! 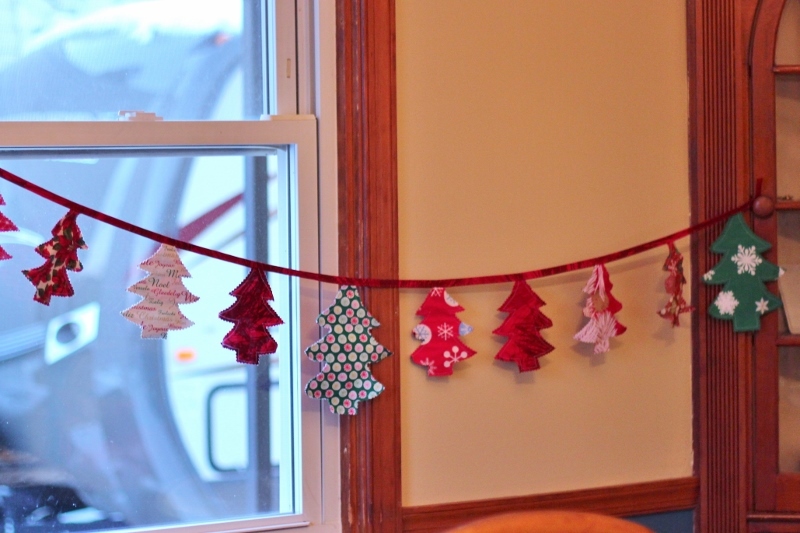 Thank you so much for our garland! We got two, actually, one from Meggan too. The girls begged me to put yours up in their room, so we did. We love it!